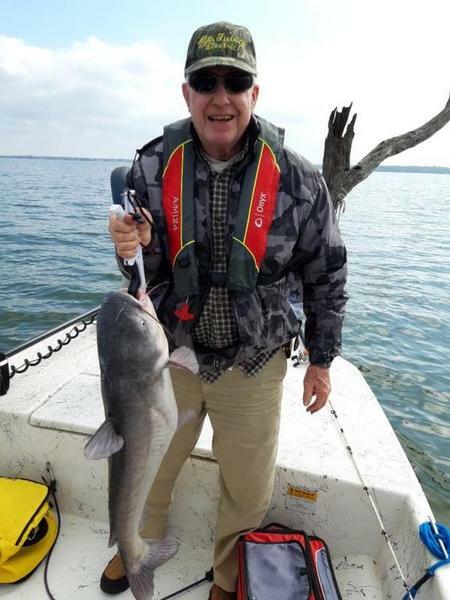 Register Log In Texas Fishing Forum Forums Catfishing Catfishin' Time on Richland Chambers! 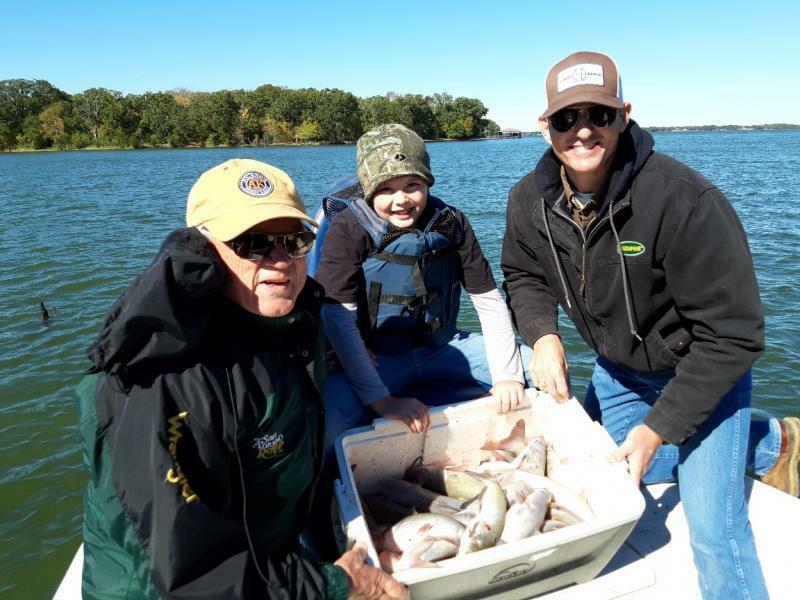 We're putting away the Crappie Rods and the White Bass/Hybrid Fishing Equipment until next Spring! The Catfish Equipment & Bait is ready for the Fall & Wintertime Catfishin'! We confirmed the past few days that the "Eater Size" Blues and Channels are stacked in the timber where they will reside until next March. We had easy limits on Monday & Tuesday on Eaters, picked up a couple of Big Ones in the slot, and had a couple more "Ones That Got Away"! All caught on Danny Kings Blood Punch Bait on a # 4 Treble Hook. 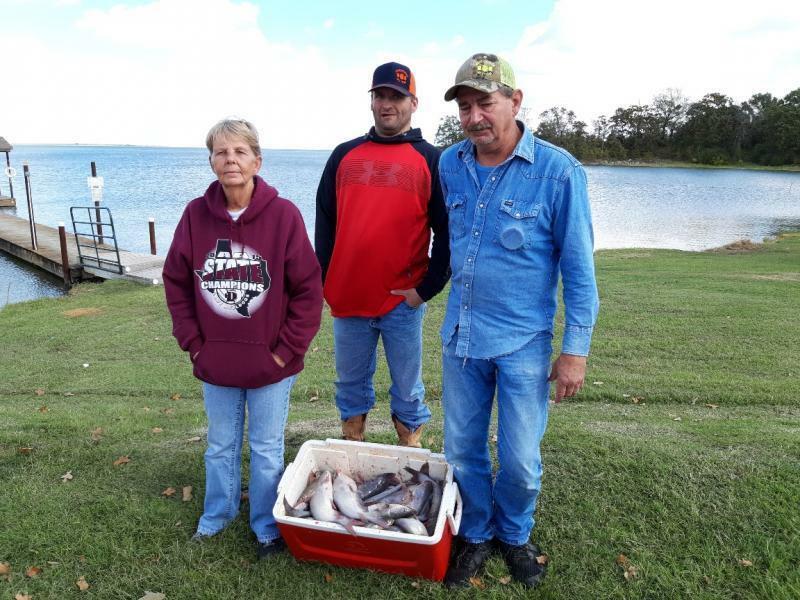 The majority were caught in 20' FOW but the larger fish came in water as deep as 30'. 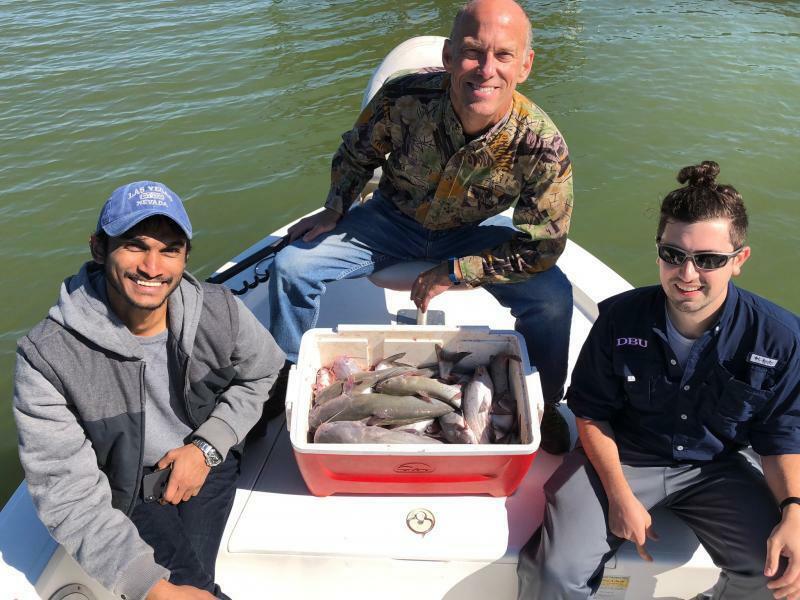 Adam and I have just a few Weekdays open between now and Thanksgiving, but we also have one boat open on Saturday, Nov. 17th and one boat open the Friday after Thanksgiving, Nov.23rd. 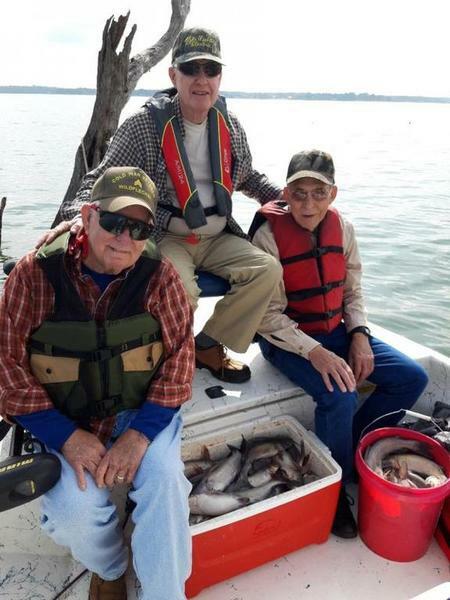 We fish year around, offer trips everyday except for Sunday and have been fishing on RC since 1994. Our calendar opens up Monday, Nov. 26 and lots of December dates are open. 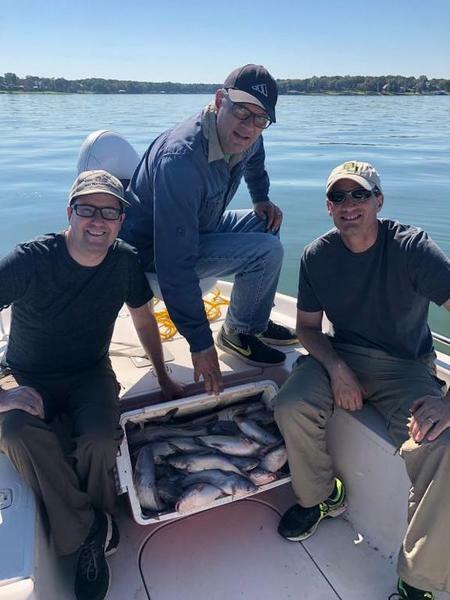 If you want to fill the Freezer with Filets and perhaps catch a really Big one, give us a call and We'll Go Fishing! Check us out for our "Package Special" and Rates @ www.gonefishin.biz . Here's a few Pics from the past week! Get them ready for a fish fry! !